Tired of your spools tangling and unraveling and making a mess? 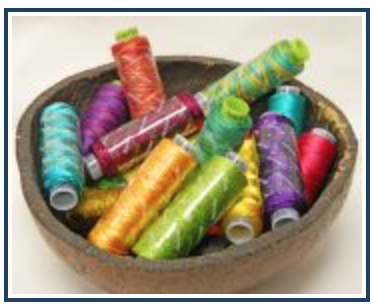 Wrapping Wonder Guard™ snugly around your spools tidies loose threads and stops it from unwinding and tangling. It also keeps your thread clean and prevents it from drying out. This multi-purpose thread guard can also be attached loosely around spools of thread while in use on a machine for a consistent draw, helping to maintain beautifully even stitches with no fuss. 10 per package.